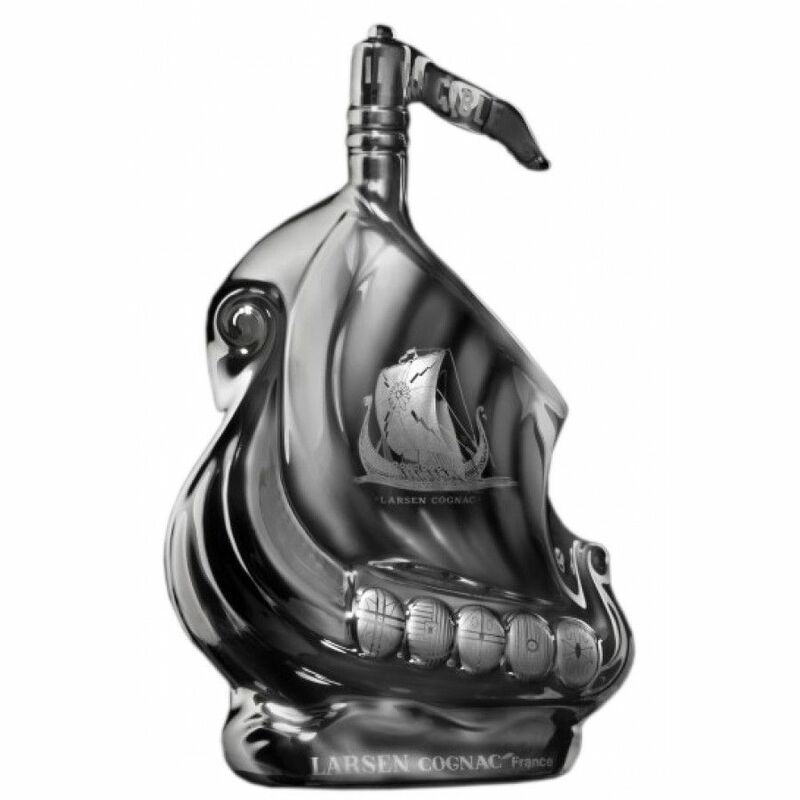 The Larsen Viking Ship Platinum Cognac is a delightful addition to the 'Viking Ship' collection of decanters by Larsen. The fine champagne cognac is housed in a collector's decanter created by Limoges Porcelain - and hand finished in 24 carat gold. The design of the decanter is unchanged since it was designed in 1952. The cognac is a blend of both Grande Champagne and Petite Champagne eaux-de-vie, and is aromatic, round, and well-balanced, should you choose to drink it. Of course, many collectors of such decanters prefer to keep the contents safely housed and sealed... A great cognac for both the connoiseur and the collector of fine art.